(Peippo wears HS outfit, an Al Vulo skin, BDR hair). 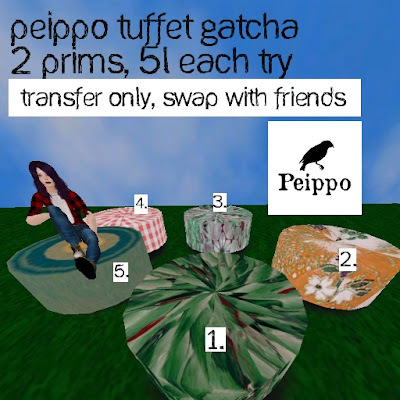 Tuffet Gatcha (5l) is part of the event called A Bed in the Wheatfield located in the Skygarden & all participating shops. I keep seeing Gatcha and Gacha.. so mine reads one way and the event organizers use the other one.. eep. If there is a consensus on this, comment and let me know.